Charles Ives was born in 1874 as the son of a band leader in New York. In September 1894, Ives entered Yale University, studying under Horatio Parker. Here he composed in a choral style similar to his mentor, writing church music and even an 1896 campaign song for William McKinley. Ives combined the American popular and church-music traditions of his youth with European art music, and was among the first composers to engage in a systematic program of experimental music, with musical techniques including polytonality, polyrhythm, tone clusters, aleatoric elements, and quarter tones, foreshadowing many musical innovations of the 20th century. In 1899, he moved to employment with the insurance agency Charles H. Raymond & Co., where he stayed until 1906. In 1907, upon the failure of Raymond & Co., he and his friend Julian Myrick formed their own insurance agency Ives & Co., which later became Ives & Myrick, where he remained until he retired. In his spare time he composed music and, until his marriage, worked as an organist. Many of his works went unperformed for many years. His tendency to experiment and his increasing use of dissonance were not well taken by the musical establishment of the time. The difficulties in performing the rhythmic complexities in his major orchestral works made them daunting challenges even decades after they were composed. One of the more damning words one could use to describe music in Ives’ view was "nice", and his famous remark "use your ears like men!" seemed to indicate that he did not care about his reception. On the contrary, Ives was interested in popular reception, but on his own terms. Sources of Ives’ tonal imagery are hymn tunes and traditional songs, the town band at holiday parade, the fiddlers at Saturday night dances, patriotic songs, sentimental parlor ballads, and the melodies of Stephen Foster. Ives’ music was largely ignored during his lifetime as an active composer, but since then his reputation has greatly increased. 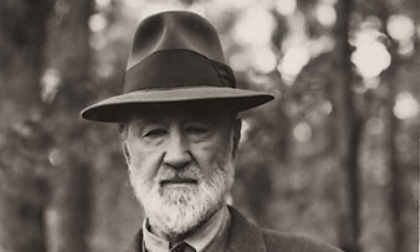 Over time, Ives came to be regarded as an "American Original".